Nostra culpa: Revised results for the microbial playoffs in space – microBEnet: the microbiology of the Built Environment network. An important part of science is owning up to mistakes and doing the best to correct them. A couple months ago we got data from the International Space Station where we had grown up bacteria for our “Microbial Playoffs”. After analyzing the the data we blogged about the winners and disbursed the results far and wide. A bit later, we received the actual physical plates back from the space station… only to find that they had been mislabeled… presumably by us. Which meant that a re-analysis of the data was in order. 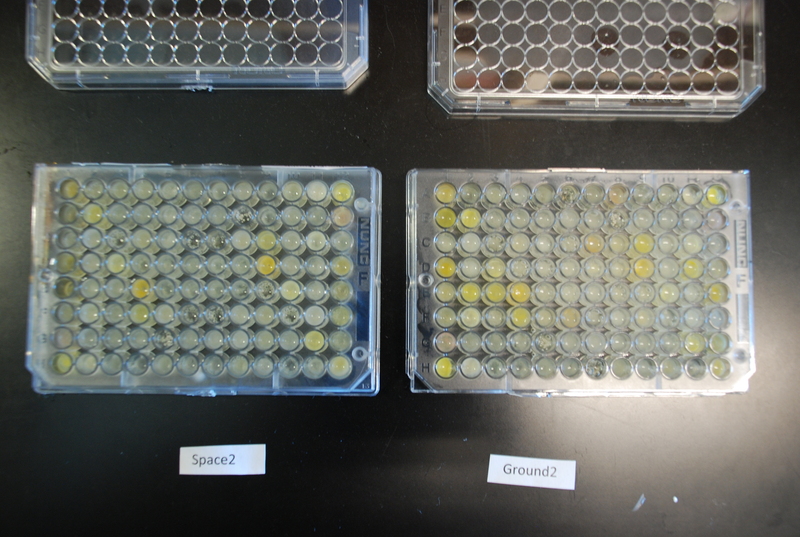 Fortunately only one of the three plates was mixed up so the results didn’t completely change… but they did change. We have put the correct information on our Space Microbes website here, and have added a correction to the erroneous blog post here.